Question: We’re researching new windows for our home and would like to know if we should purchase wood windows or vinyl windows? How do you advise homeowners who are trying to choose between the two? 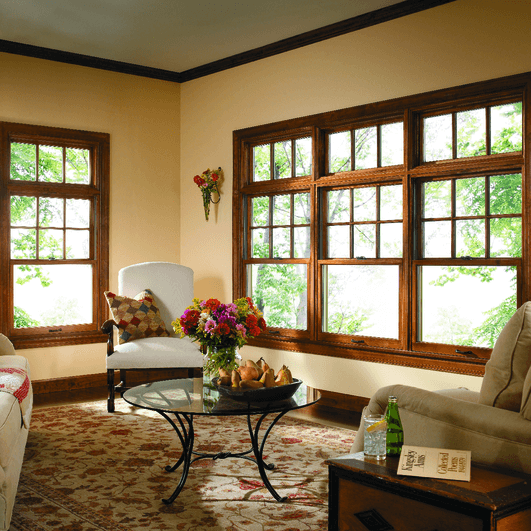 Here’s our advice for choosing between wood windows and vinyl windows for your home. Answer: Excellent question, and the answer depends on the situation. Both types of windows are energy efficient, easy to clean, look nice, will be more secure and will reduce sound compared to older windows. The key difference is longevity and your budget. When you have a well-designed product from a mainstream maker that has used a more expensive material like wood, the windows will cost more. And wood windows do cost significantly more than vinyl. But a wood window from Pella is going to open and close as smoothly in 30 years as it does today. The Pella windows in my home are 15 years old, and they glide up and down like butter yet still seal tightly. This doesn’t mean vinyl windows aren’t going to age well. Vinyl windows are a big part of our business, and one product we recommend a lot is an excellent durable vinyl window from Alside. But one thing to consider with vinyl windows is that the locks, tilt mechanisms and balance mechanisms that the windows open and close on are made from plastic. In 15 years, it’s possible that a mechanism could begin to weaken or break. Here’s what we advise: If the value of your home is in the $500,000 range, vinyl windows are typically going to work very well for you. If your home value is closer to $1 million and you have the additional budget to invest in a premium product, we generally recommend that you consider wood windows. It’s ultimately up to you, so if you’re still not sure, we can help guide you through the decision-making process. Schedule a free consultation, and we’ll talk through the specifics of your home and look at some product samples.